GRAFENWOEHR, Germany — The USAG Bavaria Religious Support Office helps Soldiers, families and spouses in four communities to support readiness for the troops. The USAG Bavaria chaplain’s mission is to provide religious support by providing both religious services and counsel. Their broader aim at USAG Bavaria, however, is to ensure spiritual readiness. One big focus of the RSO is to strengthen the family and make them reliable with all the challenges they face like transitions, deployments and all the other struggles coming with a Soldier’s family life. The Soldier needs to focus on the mission. The RSO helps to minimize those distractions. As a result, the Soldier is able to focus. That’s where chaplains can help. 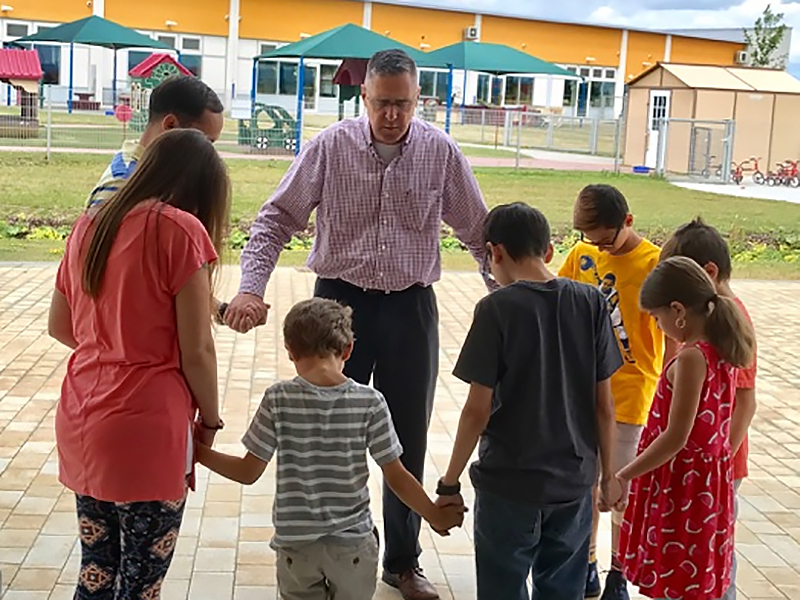 Chaplains and RSO staff run a tight schedule offering up religious support through family counseling, as well as organizing events and trips to strengthen family life — all of which enable a strong, ready family. “When a Soldier is mentally frustrated and they’re physically exhausted, what keeps them in the fight is their family strength, their soul strength and their moral constitution,” said Lt. Col. Simmons, USAG Bavaria deputy chaplain. Soldiers need to be ready even in a fast-changing environment and with more and more deployments. The role of the family is more important than ever before. “Family strong plus soul strong equals Army strong,” said Simmons. The chaplains also are very active in networking to serve as many as possible. During a trip to Normandy, France, for example, USAG Bavaria chaplains partnered with Better Opportunities for Single Soldiers, or BOSS, to provide an outstanding experience. A group of Soldiers, families and kids experienced the spirit of American history first hand. To visit places like the Normandy American cemetery, the Higgins boat and bunkers is more than education, it strengthen the bonds between the people in the group. You can find a very diverse variety of USAG Bavaria chaplain — whether eating lunch with peers at the food court or through social media or in one of the chapels.